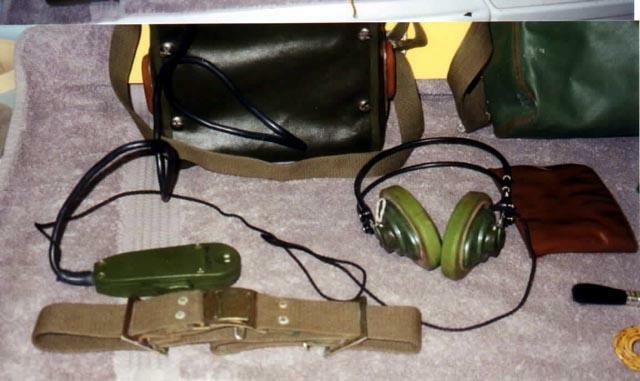 Chinese 884 radio set, also sometimes called Mercury Walk or Mercury Talk set. The Mercury Talk is a high frequency, continuous range transceiver with a frequency range of 1.7 to 6.0 MHz. It was first manufactured in the People's Republic of China (PRC) in the late 1960's. The Mercury Talk incorporates independent manual tuning for the receiver and transmitter sections. This feature allows the operator to receive and transmit on separate frequencies simultaneously. 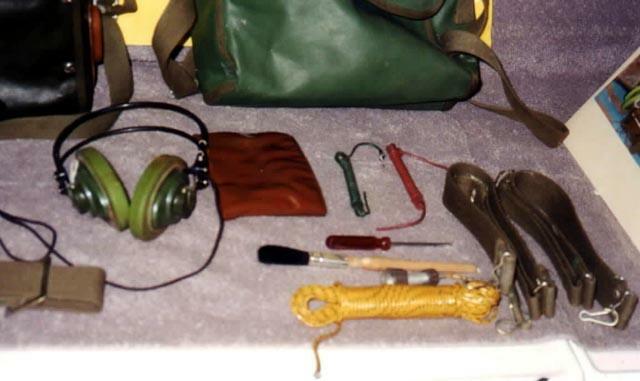 The Mercury Talk may use either a whip antenna, which is connected to both the receiver and transmitter, or long wire antennas, which may be connected separately to the receiver and transmitter. Two 12 volt DC batteries are connected in series to power the radio. In addition, a 1.5 volt DC battery is used to provide illumination for the dial lights. The Mercury Talk measures 33.7x22.7x 11.4 cm (131/4 x9 x 41/2") and weighs 6.8kg (15 pounds) with batteries. The Mercury Talk may be operated in either the Amplitude Modulated (Voice) or Continuous Wave (Morse) mode. The radio has a power output of 2 watts and a transmitting range of 10-16 km (7-10 miles) in the voice mode or a power output of 3.5 watts and a transmitting range of over 160 km (100 miles) in the Morse mode. There is no speaker incorporated in the Mercury Talk; therefore, a headset or external speaker must be used when operating this radio. 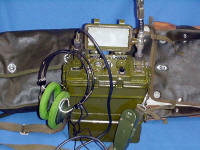 The narrow frequency range of the radio makes it extremely susceptible to electronic warfare (EW). The Mercury Talk is ruggedly constructed, easy to operate, reliable and completely transistorised. Solid state construction in the Mercury Talk reflects an advancement in the state of the art for PRC communications equipment. 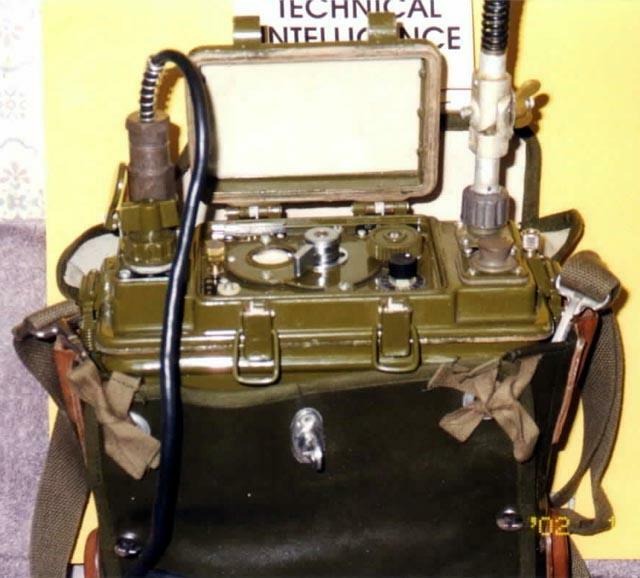 Compared to the U.S. Army's AN/PRC-74 B, it is smaller and lighter, but it does not have the frequency range or the transmitting distance of the U.S. radio. 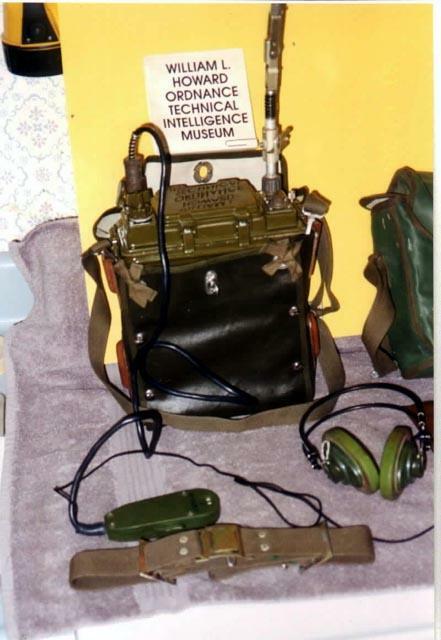 Since the Mercury Talk is a continuous tune radio, it may be netted with U.S. AN/PRC-47 and AN/GRC-106 radios. 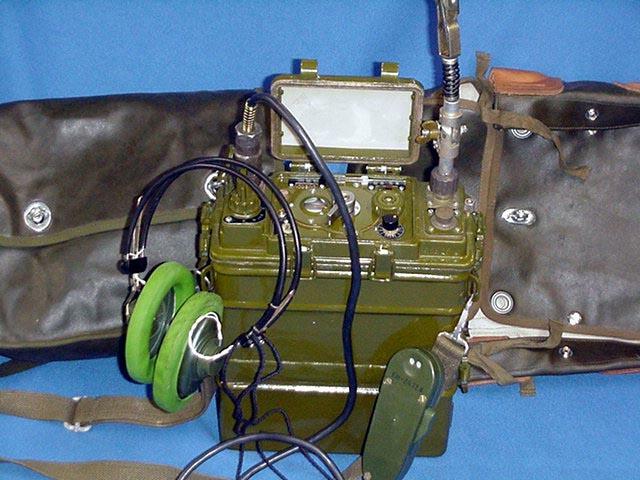 The Mercury Talk is replacing older AM radios as part of an ongoing program to update communications equipment in the PRC Army. Following questioning of a couple of Chinese electronic technicians , it seems the Mercury name is as close as you get to a brand-name in a communist economy. The Mercury stuff all comes from a factory in Shanghai which is a prolific producer of consumer electronic products as well as some military items. Mercury products would be similar to brand names such as Zenith or Magnavox back in the '60's. 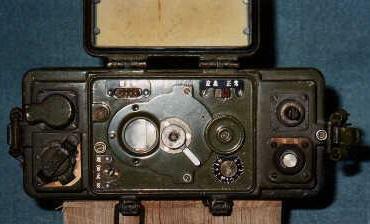 Shown the photo of the Mercury talk radio they pointed out that the Chinese writing on the nameplate in the upper right edge says "Mercury". So evidently it's not exactly a series of sets like the British Larkspur but rather a line of products from a single manufacturer, which also designs them. 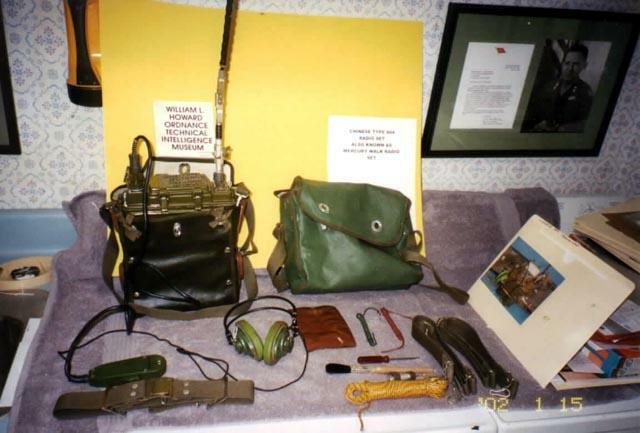 There is also a radio identified as the Mercury Walk Radio. It measures 8" x 6" x 3" and with the battery box added on the bottom, it is 11 " high. It is powered by 11 D cell batteries. All controls are on the top panel. It tunes 45 to 50. I assume this is MC. 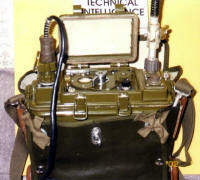 The top panel controls are located under a cover held closed by spring clamps such as found on U.S. military radios. Main tuning control had a lock down lever. Other covered controls were a two position switch and a rotating dial, numbered 1 to 10, presumably a volume control. Two more controls are adjustable by screwdriver and there is a socket for plugging something in, presumably a calibration device. On the ends are several more items. A rubber covered push button, presumably for Morse code transmission and the antenna connector are on the right side. The antenna connector requires a special adapter to mount the Russian type Kulikov antenna. On the left side are a 7 pin connector for the head phone/mike set and a multi-position rotary switch which presumably is a function switch. Off/On-Voice-CW. The set is held in the case by two spring loaded clamps. On removal from the case, the set is modular in construction. There were 7 modules on one side (top) and a flip out module carrier on the other side (bottom) and a circuit board. The resistors looked like a tour through the history of resistors. Some resembled resistors of the 1930s and some looked like modern Radio Shack resistors. 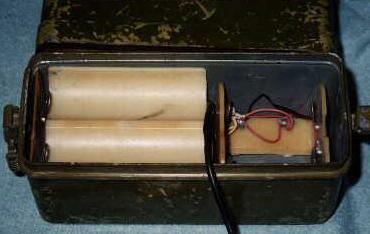 Capacitors were moulded of olive drab plastic. There was nothing that looked like a tube socket so I concluded they were again hard wired inside the modules and were not readily apparent. The central feature of the top side was a 7 gang variable capacitor. There were also three (4 ?) wire coils wound on ceramic forms. On the lower end, adjacent the battery box was a plug, into which the power cable would be plugged. The top section had a plug for something that was missing. It may have been a holder for a crystal for the CW mode. It also appeared that the top was suppose to have a metal cover but that was missing from the set that I have. Mercury Walk Battery Box The battery box had several plastic spacers, trough like affairs to keep 8 of the D cells in line. At the power port end there were three more D Cells in a special holder. Power outputs were measured with weak dry cells and the 11 D cells provided 13.95 volts, 1.5 volts and 3 volts. 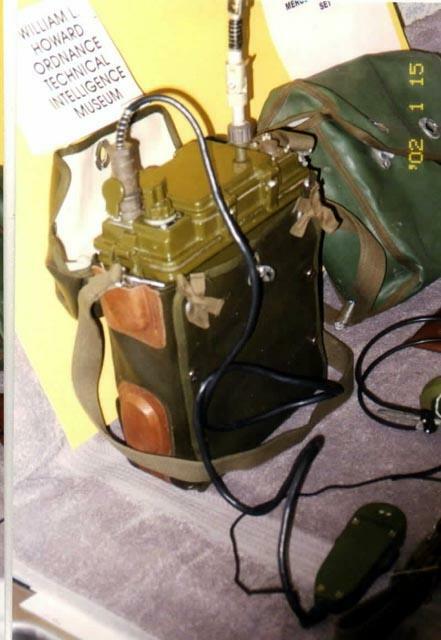 There was also a separate plug for use with a Dry Cell Battery 305-D. The main advantage to this set was that it was powered by D Cells which could be obtained in local hardware stores. 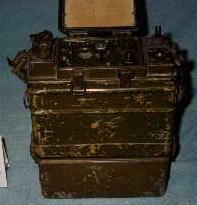 It is light weight, weighing less than the AN/PRC-25s and 77s of the period and less than the AN/PRC-10. The main disadvantage was the difficulty of servicing the set, especially in the field. Not having the headset/mike nor the antenna, missing some internal parts and possibly having dead tubes, any sort of operational testing was out of the question.